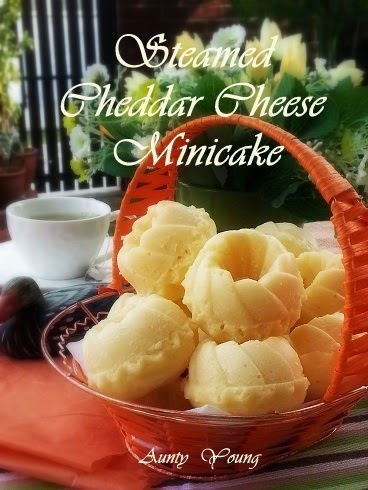 NaNak's breakfast --- the Steamed Cheddar Cheese Minicake that is so famous all over the internet. 2. Double-boil (B) until melted, then add (1). 3. Add in (C) and mix evenly. 4. Pipe batter into moulds and steam over high flame for 15 minutes. 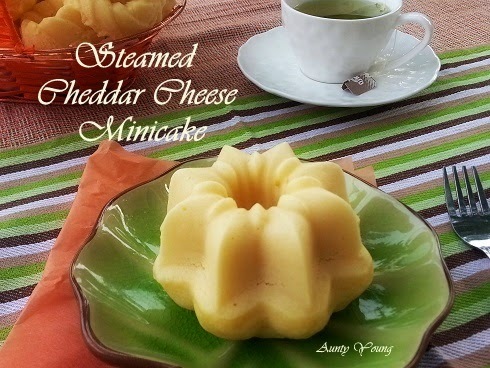 These cakes look like traditional steam cake, yet due to the addition of cheese, milk and butter, it has a richer cheesy taste. 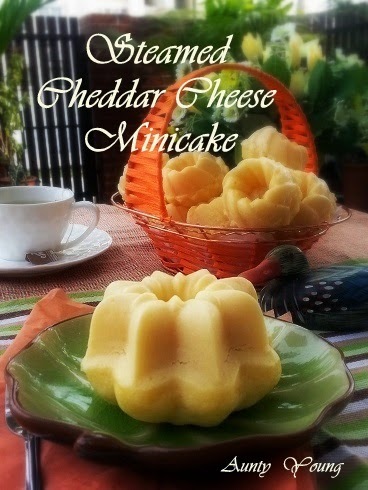 To the cheese lovers out there: You'll love this cake! 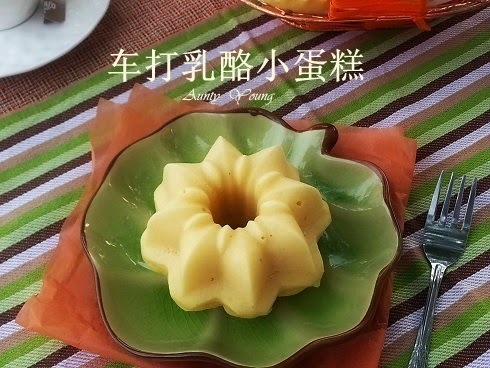 On the second day, the cake became more moist and its taste intensified. Delicious! Looks so beautiful. Can share some? Wondering if I can try steaming this cake in other types of moulds? 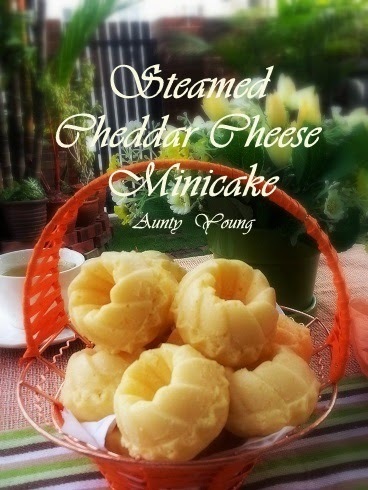 Aunty Young, I have yet to taste a steamed cheesecake. Mesti cuba!